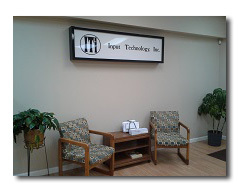 Established in 1981, Input Technology, Inc (ITi) is a full-service provider of data, print and mail related services, including document-based business process outsourcing. Our company provides solutions in commercial printing, direct mail, print fulfillment, manual kit fulfillment, forms and labels, transactional print-and-mail, print management, data entry and database management to customers in the healthcare, insurance, advertising, non-profit, retail, technology, financial services, educational, governmental and many other industries. To provide expert direct mail production, print, and data services to companies in a timely manner and at a fair price, while ultimately exceeding their expectations. The firm is dedicated to achieving the highest quality in its work while maintaining an environment that fosters creativity, dedication and the constant pursuit of new ideas by its employees.